Oak Ridge Boys fans will have another reason to celebrate the season this year. The award winning group will once again celebrate the Christmas season with timeless hits and holiday classics. The 26th Annual "Christmas Night Out" tour will take the band to two dozen plus cities throughout 19 states, spanning from the East to West Coast. The almost two hour holiday show will transport concertgoers into a Winter Wonderland with Christmas tunes old and new, including religious, romantic and fun holiday tunes, many of which come from the band's six best-selling Christmas CDs. Fans can even expect a special visit from Santa Claus himself! There is nothing quite like an Oak Ridge Boys Christmas Show. This tour has become an Oak Ridge Boys tradition and is a tremendous experience for the entire family. 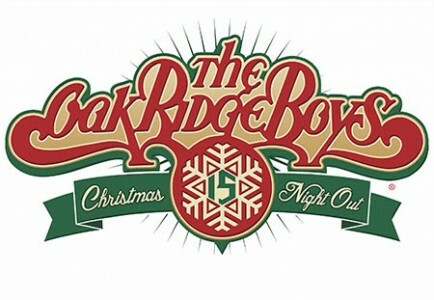 With a revamped stage and a fresh approach, this year's show will be a dynamic mix of music representing every aspect of Christmas from presents and snow, to romance and Santa Claus, on to the real meaning of the season celebrating the birth of Jesus," said The Oak Ridge Boys' Joe Bonsall. Each year The Oak Ridge Boys' Christmas tour packs venues across America. The 2015 “Christmas Night Out Tour” will begin in mid-November and go all the way through December 23rd. Folks can expect to hear old favorites like 'White Christmas' and 'Jingle Bells' mixed with some very poignant newer songs like 'Getting Ready for A Baby' and 'Mary Did You Know.' A highlight of the evening is the much-loved 'rocking chair' segment where each BOY rocks by the fireplace and shares personal thoughts about Christmas. So we hope you'll come out and see us… and Merry Christmas!" Bonsall added. For more information on The Oak Ridge Boys, please visit oakridgeboys.com. Monday night as Jason Aldean and his band had finished their performance in Kamloops and were headed out to Prince George, B.C. for Tuesday night's show when the driver of the semi truck that was carrying Jason Aldean’s tour equipment, lost control in Canada. Castanet.net reported that when the vehicle went off the road, it hit a rock, and caused the semi truck to flip over. In a photo shared by Canadian radio personality TJ Connors, the tour truck trailer is seen completely flipped over. Thankfully, everyone is okay, according to Billboard, the driver suffered minimal injuries. The "Burnin It Down singer later tweeted that the show would be rescheduled to tonight due to the accident. Due to circumstances beyond our control, tonight’s show (10/6) has been moved to tomorrow, Wednesday, October 7th,” Aldean wrote. The update was also made via the singer’s website, which included additional info that if fans could not make tonight's show they would be offered a refund. Castanet.net reports that Kamloops Rural RCMP are continuing to investigate the cause of the accident. His Canadian run of dates lasts through Oct. 14th, after which he'll close out the tour with three shows in Florida. Tyler Farr and Cole Swindell are also out on th road with Aldean, opening the tour. We are so thankful the accident wasn’t worse and everyone is ok! It comes as no surprise that the rising duo LOCASH has wowed critics and crowds throughout the country on their "I Love This Life Tour", and quickly climbing the radio charts with the highest charting single of their career, "I Love This Life," lands the #23 spot on the Country Billboard radio charts this week and surpassing 100,000 downloads. Village Voice calls them "seasoned songwriters in detailing the carefree Southern lifestyle," and Entrepreneur Magazine writes, "They bring to the stage an amazing and sincere energy unlike anything [we’ve] ever seen at a concert before." The "I Love This Life" E.P. will be released on Reviver Records and was produced with the help of Lindsay Rimes and David Ross. It will be available at the end of the month as a digital download nationwide on iTunes, Amazon and other online retailers. I cannot wait for the current and future LOCASH fans to hear what we have been working so hard on. It’s a new and established sound for us. Something fresh, with the LOCASH flavor and the roots of country music,” said the duo’s Chris Lucas. Five of the six songs on the new E.P. were written by Brust, Lucas or both. The stand-out track, “Shipwrecked,” is the song which influenced the name of their signature wine line developed in partnership with Stonum Vineyards… particularly presents a new musical dimension to LOCASH. Who doesn't love wine and good music?!? I had been listening to a lot of John Legend at the time, so I wanted a song that sounded like John Legend, with some guitar in it, but I wanted the lyrics to be really honest,” the duo’s Preston Brust told The Boot. “A lot of people, when they’re interviewing us, they’ll ask a fun question and it’s always the same: ‘If you’re shipwrecked on an island, what’s the one thing you have to have?’ And so, I sat down at the piano, and I said [to myself] ‘You know what, here’s what I’ve got to have.’ You’ve got to hear the song to find out, but it’s really cool. It’s a really cool song,” he added. 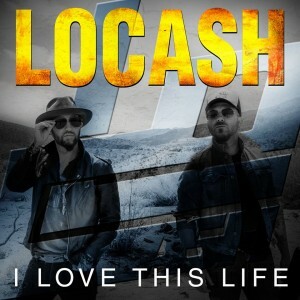 LOCASH also recently premiered the new music video for "I Love This Life" on all CMT platforms including CMT Pure, CMT Artists App, CMT.com and social media sites on August 26th. The video is a montage of the duo in the stunning red rocks of Garden Of The Gods, Colorado, pieced with documentary-style footage of life on the road with their fans. LOCASH is currently out on the road across the US on their "I Love This Life Tour"
10/09 – KC's Timeout Lounge | Evansville, Ind. 10/16 – Family Center Farm & Home's 50th Anniversary | Harrisonville, Mo. 10/17 – KIX 100.9's Bonfire with Brothers Osborne | Hatfield, Mass. 10/24 – Coyote Country's 'The Next Big Thing' | Spokane, Wash.
10/31 – 98.7 The Bull's Halloween Bash | Portland, Ore.
11/12 – Maxwell's Tavern | Hoboken, N.J.
11/19 – Bootlegger's Saloon | Charlotte, N.C.
12/05-12/12 – The Pageant with Eli Young Band | St. Louis, Mo. For more information on LOCASH, please visit www.locashmusic.com and follow them on Facebook and Twitter.